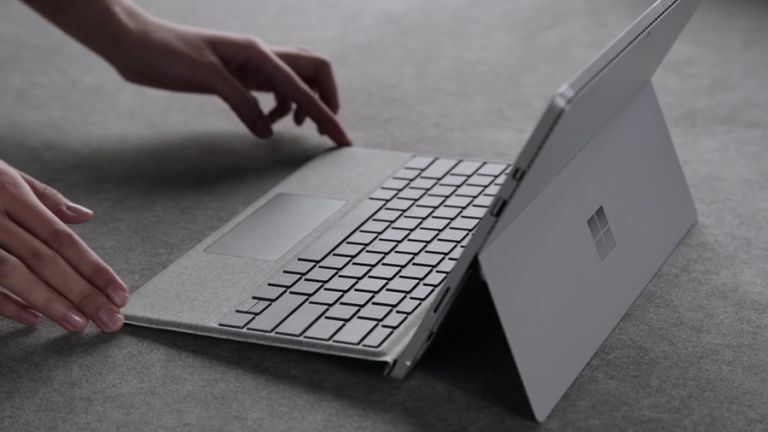 Microsoft has only just shown off its new Surface Laptop and already it’s holding another Surface event on 23 May where the Surface Pro 5 is expected to appear. Microsoft has sent out word of the 23 May event which will be held in Shanghai, via a well placed tweet from Surface chief Panos Panay. Since this is the Surface boss, the hashtag is Surface and Microsoft has already launched the Surface Laptop and new Surface Book 2, this almost certainly must be the launch event for the Surface Pro 5. It’s been 17 months since the release of the Surface Pro 4 which is the same length of time that came between that and the Surface Pro 3 release. So it seems about time for the next generation to make an appearance. Leaked specs for the Surface Pro 5 include the latest 14nm Intel Kaby Lake processors. This should mean an exceptional battery life while still offering plenty of power. Rumours suggest there won’t be a lot of major changes, since the Surface Pro 4 was done so well, but a longer battery life is always a winner. There are also murmurings of a 4K screen but we’re not holding our breath. Perhaps there will be an option to go for the latest Windows 10 S operating system too. That could mean even more battery performance and security thanks to it using Windows Store apps only. Check out everything we know about the Microsoft Surface Pro 5 at the link below.